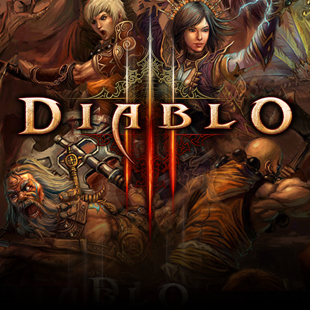 PS3 and Xbox 360 versions of Diablo III will be landing in stores on September 3rd. Xbox 360 gamers eager to put on their looting shoes can do a bit of celebrating today. It has now been revealed that console version of Diablo III, which had previously only been announced for PS3 and PS4, has now been confirmed for Xbox 360. Likewise, Blizzard has also revealed a release date for the console versions. Both the PS3 and Xbox 360 games will be releasing on September 3rd. Like the PS3 version, the Xbox 360 game will allow players to tackle dungeons alone or with friends connected to Xbox Live. The 360 version, like the PS3 game, will also feature a control scheme specially tailored to consoles which Blizzard believes will help make the experience equivalent to the original PC game. "Playing Diablo III on a big screen with your friends brings a whole new level of intensity to the game, and with all of the control and interface adaptations we've made, it's extremely fun to play on PS3 and Xbox 360," said Mike Morhaime, cofounder and CEO of Blizzard Entertainment. "We're also including major content and design updates we've made to the PC version over the past year, so players can expect an epic Diablo gaming experience when the PS3 and Xbox 360 versions launch in September." Players hoping to ensure themselves a console copy of Diablo III should now find both the PS3 and Xbox 360 versions available for pre-order at select retailers. As was announced for the PS3, gamers pre-ordering the Xbox 360 game will find themselves privy to the Infernal Helm, a bonus piece of gear which boosts experience points collected in battle.